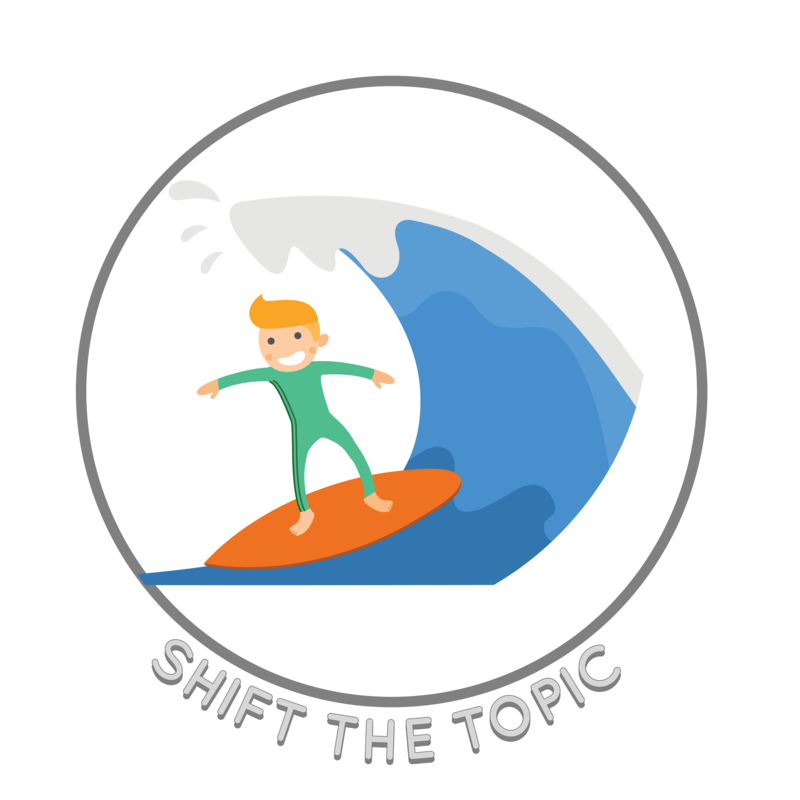 The Shift the Topic concept uses the analogy of a surfer riding a wave because we can only jump to a new "wave" or topic after we've finished the first one. First, we have to find the right time; either a lull in the conversation or if the whole group is done talking about the current topic. Once we know it's the right time, we should use a transition statement. This lets others know we are about the shift the topic. For example, saying "So, did you hear about..." or "I wanted to let you know..."
Some content may only be available to Everyday Speech subscribers. Not a subscriber yet? View our free samples.